The relationship between Carl Jung and Sigmund Freud helps launch psychoanalysis but Russian patient Sabina Spielrein comes between them. 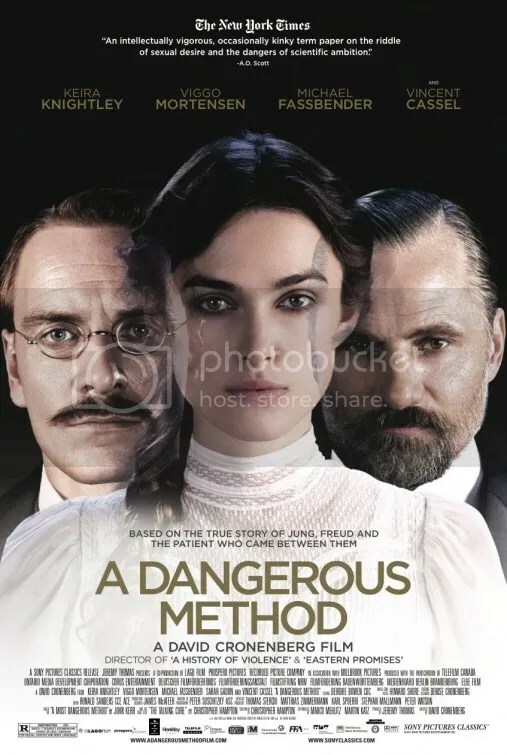 This film tells the story of how psychoanalysis started and progressed when Carl Jung decided to try the talking method with his patients. A method which was first thought up of by Freud, but had not really been practiced. We are shown Jung using this method with a young Russian girl Speilrein. Who’s mental problems are related to humiliation and sexual stimulation from that. The story unfolded rather slowly as we see the relationship develop between the doctor and patient. From the beginning it is pretty obvious that an affair is the way it was heading. It just seemed to take so long to get to that point, I guess it was an attempt to build up the relationship. This relationship taking place is the beginning of the end for Jung’s with Freud who is massively let down when he discovers the truth. He had placed a lot of trust in Jung and how much he had helped his methods grow over the years. That leads into one of the main problems I had with this film, the shifting of the timescale. I ended up confused trying to remember which year we were now in and how many had passed from the start of the film. I found it on a whole to feel long and drawn out without much outcome or point in the end. I guess that because I had studied psychology myself before I already had background info on the subject area so nothing was really new. I am a big Viggo Mortensen fan so naturally enjoyed his performance. Fassbender was very engaging as well, this film didn’t do much to help me like Knightley she just seems to be one of those actresses I just cannot get away with. I wouldn’t recommend rushing out to see this film right away, what are other people’s thoughts on this film?